While you are in Madrid, don’t miss the chance to visit Segovia on a tour where you can admire the main attractions of this city, one of the most visited in Spain. Segovia is a World Heritage City, with unique monuments that alone make a visit well worthwhile. This route will get to know the city in one day. You can choose between different options, if you want to enjoy the day on your own, go with a guide or have the complete experience. 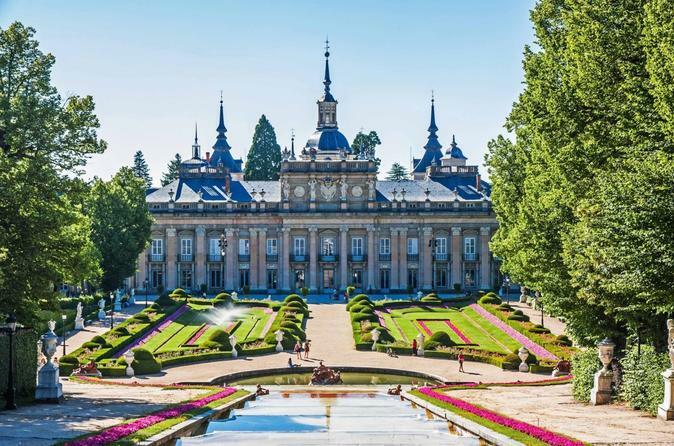 You will also get to know The Royal Palace of La Granja de San Ildefonso, also known as “La Granja”, where you’ll get to discover the building and its gardens. You’ll also visit the Alcazar and the Aqueduct, and you’ll get a pan- panoramic view of the Cathedral of Segovia and San Martin’s church. In between the visit to La Granja and the tour around Segovia, if you select the option, you’ll get to enjoy a lunch (you can choose between traditional and touristic menu) to make this a more pleasant experience. If not, you’ll have free time to walk around the streets of Segovia. There is no doubt this is a tour where you will learn a lot about architecture, history and construction on your visit to Madrid.